Sun, Sep 20 - at Morehead State @ 1:00 p.m.
Fri, Sep 25 - vs Eastern Michigan @ 5:00 p.m.
Sun, Sep 27 at Bowling Green @ 1:00 p.m. The Ball State soccer team tied IU Sept. 13, giving up a late goal in regulation for Indiana to even the score at 1-1. They played two overtime periods before ending in a tie. Ball State (3-2-2) outshot its opponent again, attempting 17 shots to IU’s 12, but was only able to convert on one. Senior Chelsy Swackhamer scored the match's first goal in the 72nd minute off Madison Oyer’s initial shot. The Cardinals thought they had the game in hand until Indiana (3-3-2) tied the game in the 82nd minute. Indiana was rewarded a corner kick, and though the goal wasn’t from the corner, it made the shot possible. 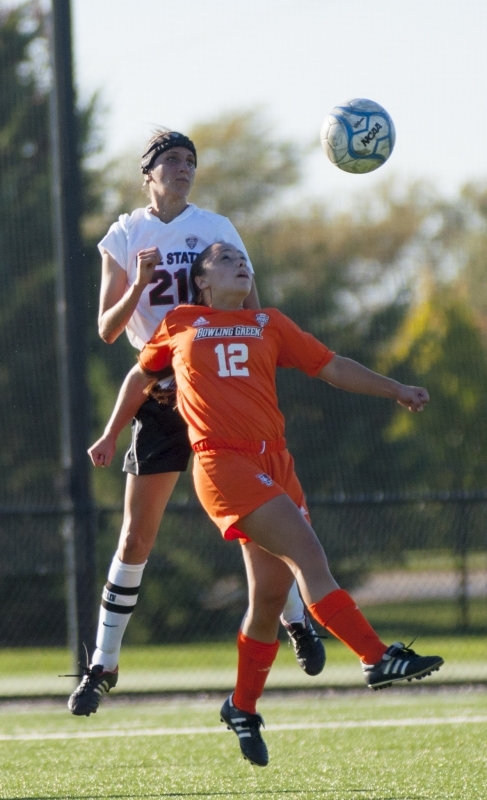 Ball State had chances in the two overtimes, including a dramatic bicycle kick from Swackhamer that hit the crossbar. It was the second time the crossbar was hit out of Ball State’s eight shots on goal. This was the second match in a row Ball State played a Power Six conference team. The Cardinals played LSU last weekend to a 1-1 draw and were within reach of a victory over the Hoosiers. Roberts has made the atmosphere around the team such that tying Indiana is no longer acceptable by this team’s standards. The match was the third against Indiana, keeping the series even at 1-1-1. The last match played between the two in 2007 ended in a Ball State 4-0 loss. Ball State will head to Morehead State Sept. 20 to close out its non-conference schedule. The Cardinals will begin the Mid-American Conference play at home on Sept. 25 against Eastern Michigan.